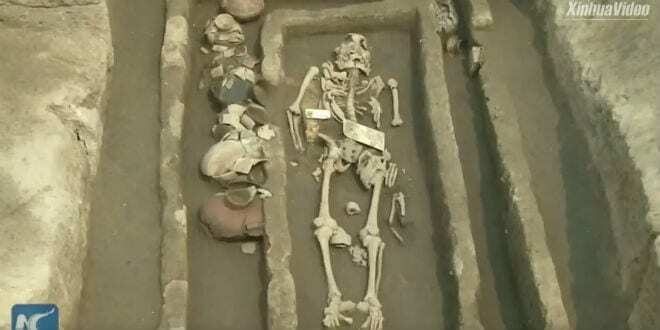 Archaeologists have discovered a collection of 5,000-year old graves in China that contain remarkably tall skeletons, a description strongly reminiscent of the Biblical Nephilim who are believed to also play a significant role in the Final Battle on Mount Zion at the End of Days. Throughout Eastern China in the Jiaojia village, archaeologists have been excavating the ruins of houses, graves, and sacrificial pits, unearthing more than 200 graves. The evidence of their discovery leads the experts to believe that the males in the village averaged a height of six feet, three inches. 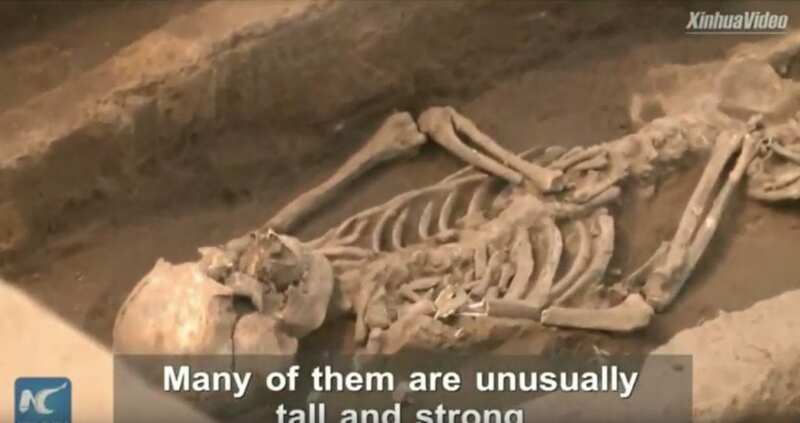 The skeletons found in China are consistent with the giants found in the Biblical narrative who were remarkably tall but still able to breed with human women. This is precisely the role Nephilim played in the beginning of the Bible preceding the story of the flood in the time of Noah. The text implies an unnatural sexual relationship between the Nephilim and human women. According to the text, Nephilim survived the flood and later reappeared in the Land of Israel. When the spies were sent to scout out the land, they were met by Nephilim who were so large that they deeply intimidated the Children of Israel. In addition to the Biblical references to this giant race of men, they figure prominently in later Jewish traditions. Rabbi Yosef Berger, rabbi of the Tomb of King David on Mount Zion, explained that the Nephilim are not human though their history and their fate are intertwined with those of men. 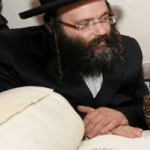 Rabbi Berger related a teaching from Rabbi Elijah ben Solomon Zalman, the preeminent Lithuanian Torah scholar from the 18th century known as the Vilna Gaon. The Vilna Gaon connected Nephilim with the final days of the Messiah. “The Gaon of Vilna wrote about another group of Nephilim who didn’t mingle with man. 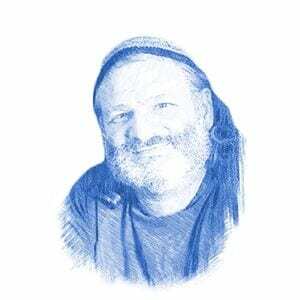 They settled beyond the Sambatyon River and are hidden from us,” Rabbi Berger said. According to rabbinic literature, the Sambation is the mythical river beyond which the Ten Lost Tribes of Israel were exiled by the Assyrian king Shalmaneser. For those searching for archaeological proof that the Biblical Nephilim could have existed, the findings in China may serve as a starting point. The findings are truly ancient, dating from the late neolithic area, which ended between 3000-2000 BCE. If the skeletons were from an particularly tall race of people, it is reasonable to believe that similar breeds existed in other parts of the world. Archaeologists in China also found that the taller skeletons were contained in larger tombs, indicating a correlation between height and social status. Scientists conjectured that wealthier people had access to better food, which would account for their greater height.